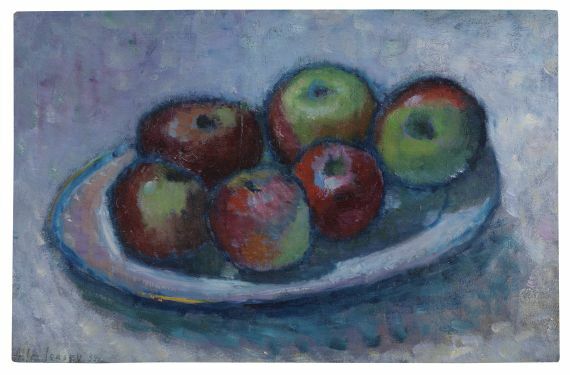 Signed in lower right. 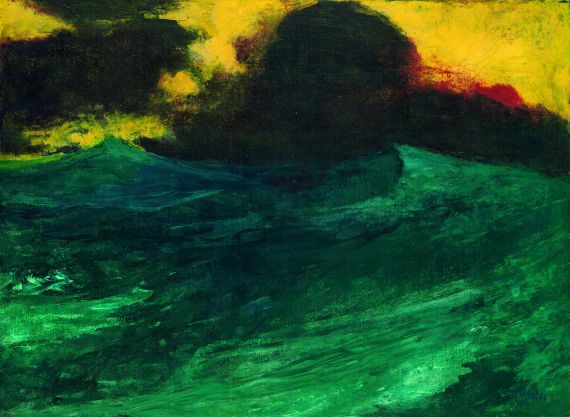 On wove paper by Joynson’s (with watermark). 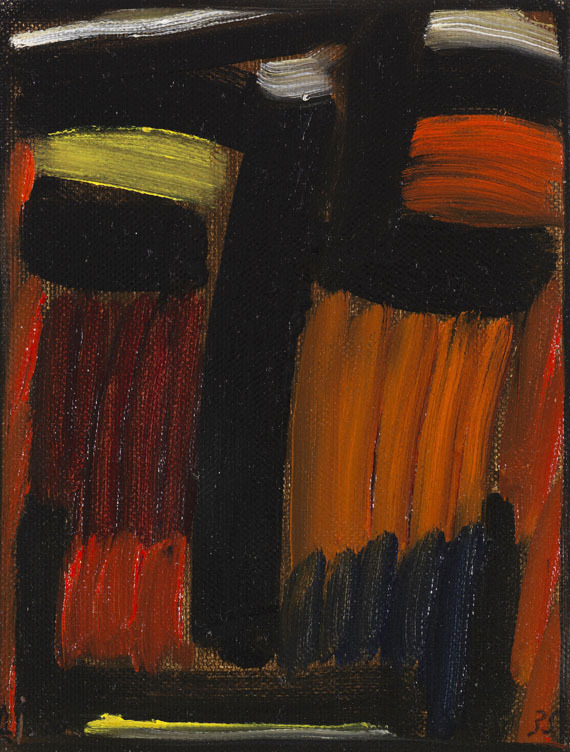 26.8 x 21 cm (10.5 x 8.2 in) , size of sheet. 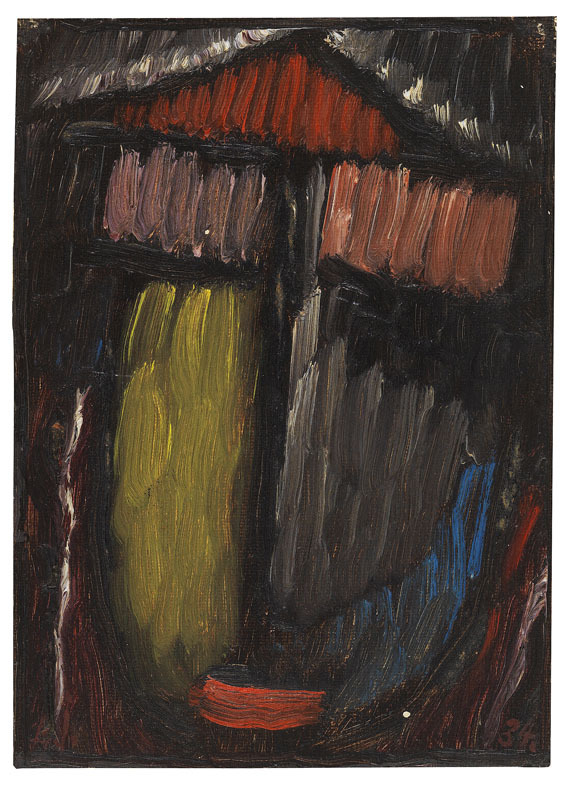 - rare motif from the small work period of religious images. 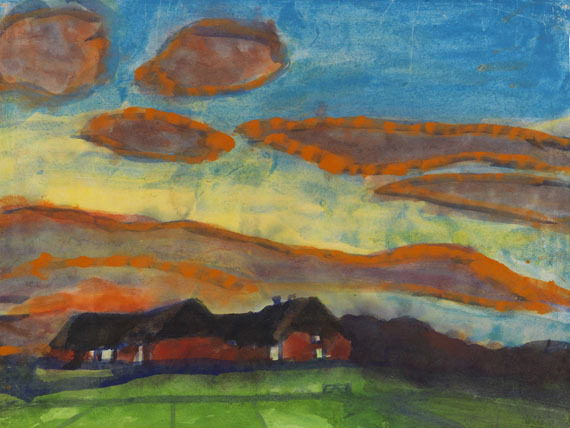 With a photo expertise from Prof. Dr. Manfred Reuther, former director of the Foundation Ada and Emil Nolde, Klockries, issued on January 30, 2017. 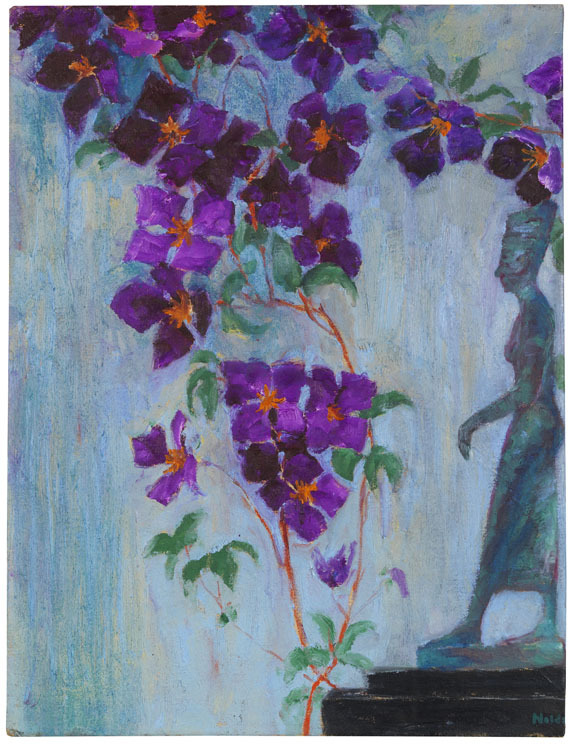 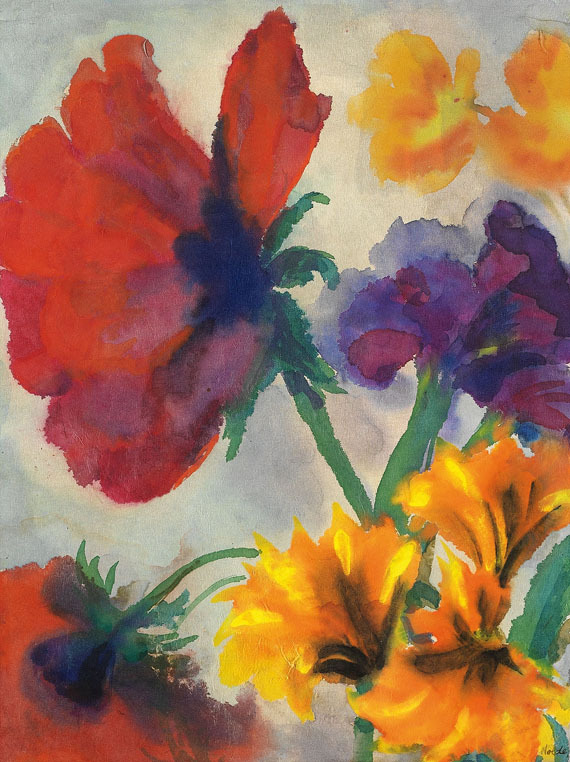 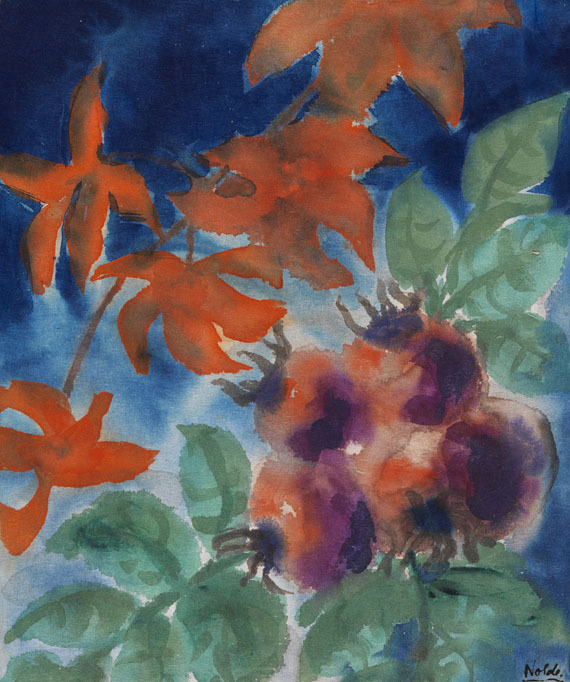 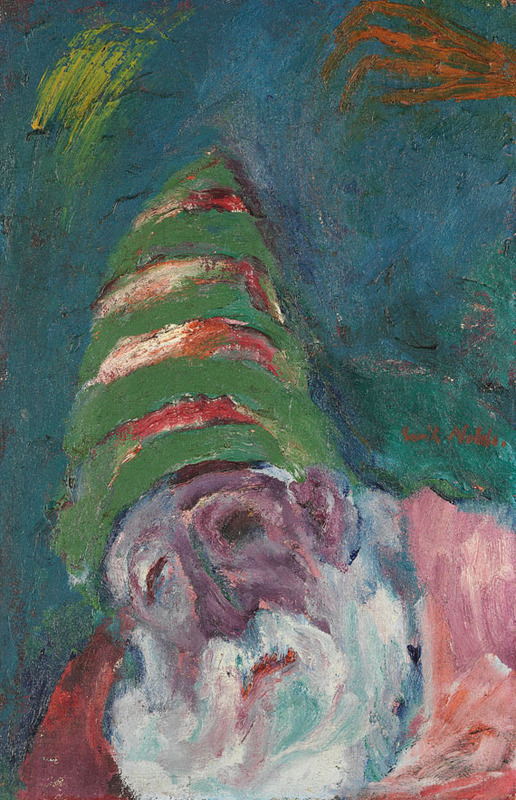 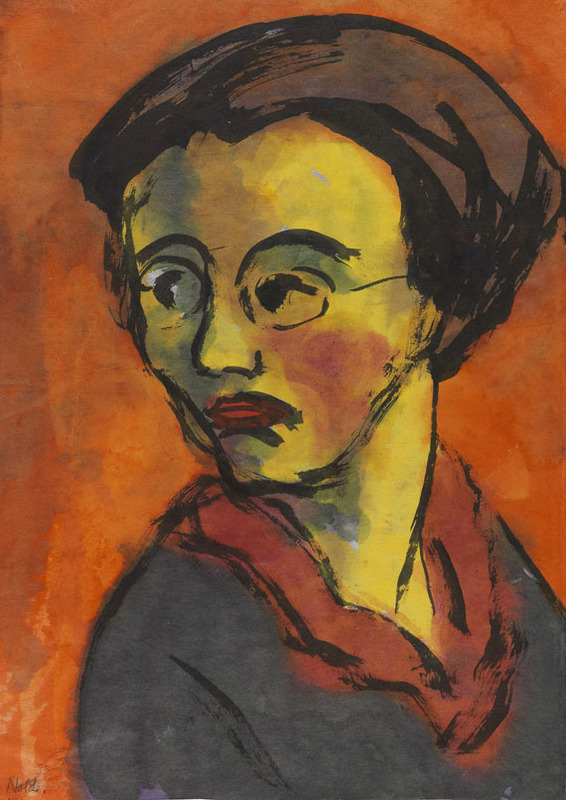 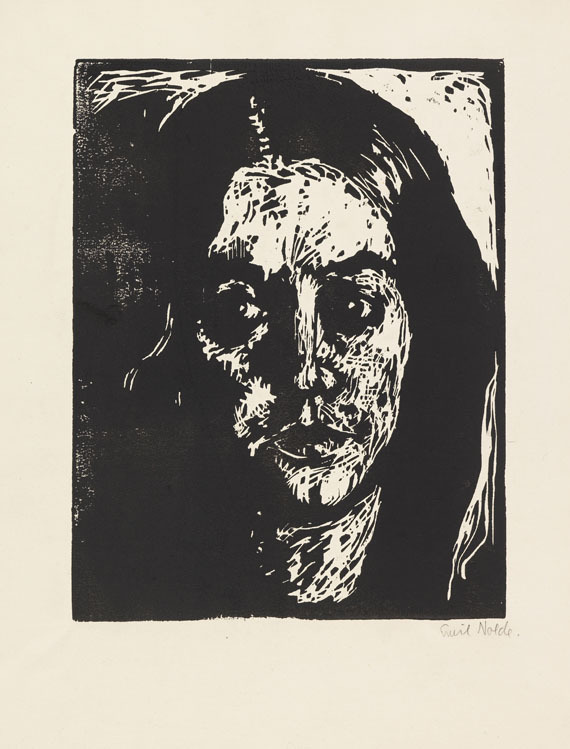 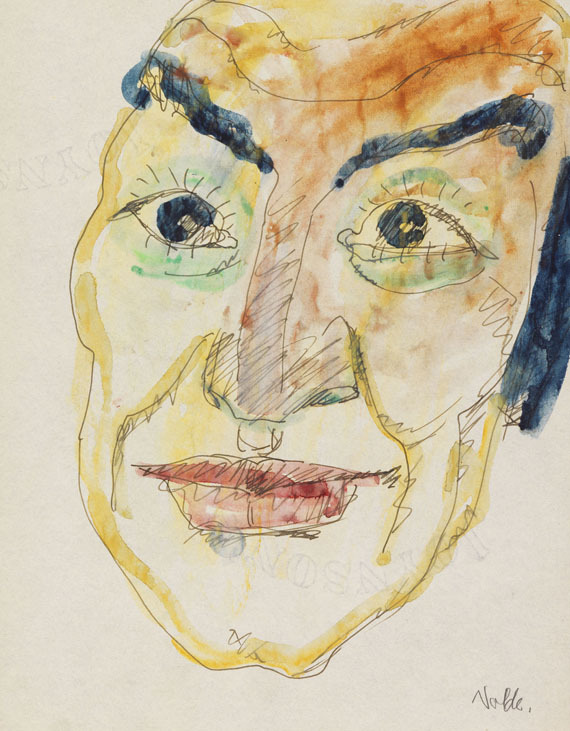 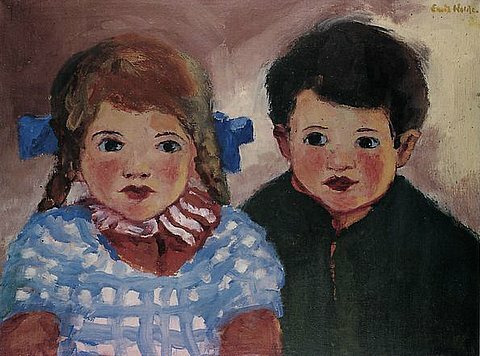 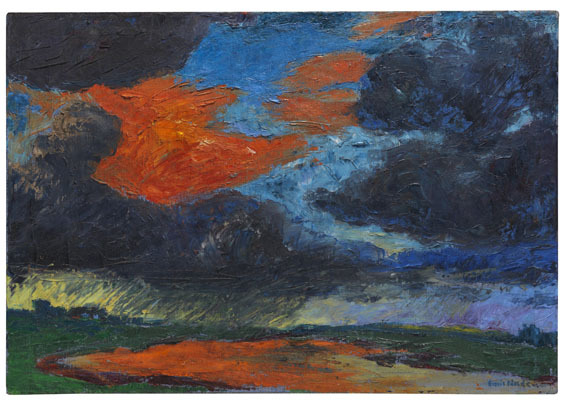 The work is registered in his archive with the number "Nolde A - 2/2017". 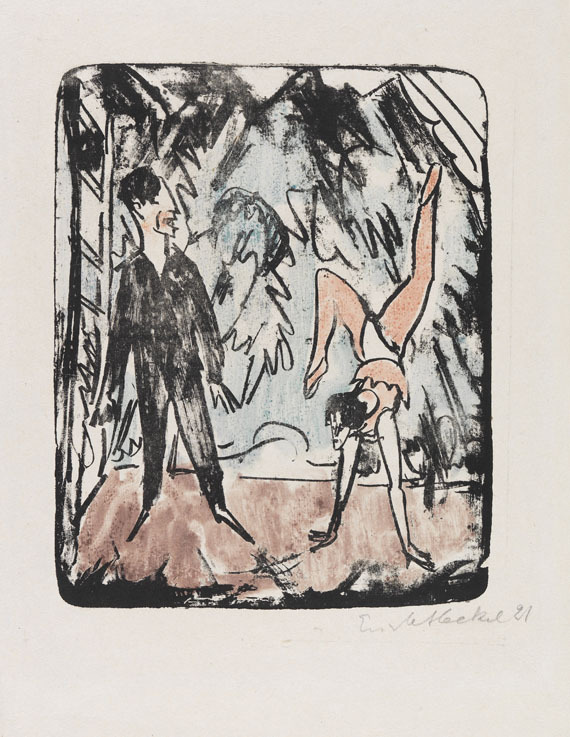 PROVENANCE: Collection Gustav Schiefler (until 1935). 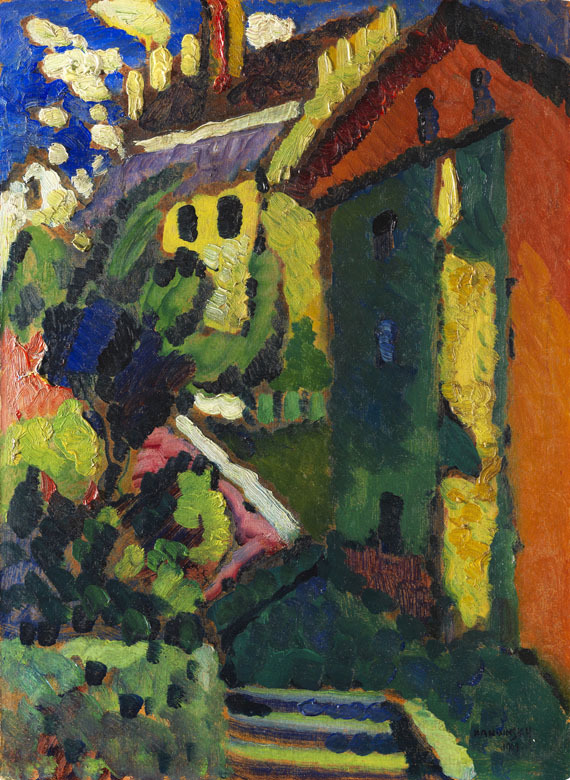 Estate Gustav Schiefler (in family ownership until 2011). 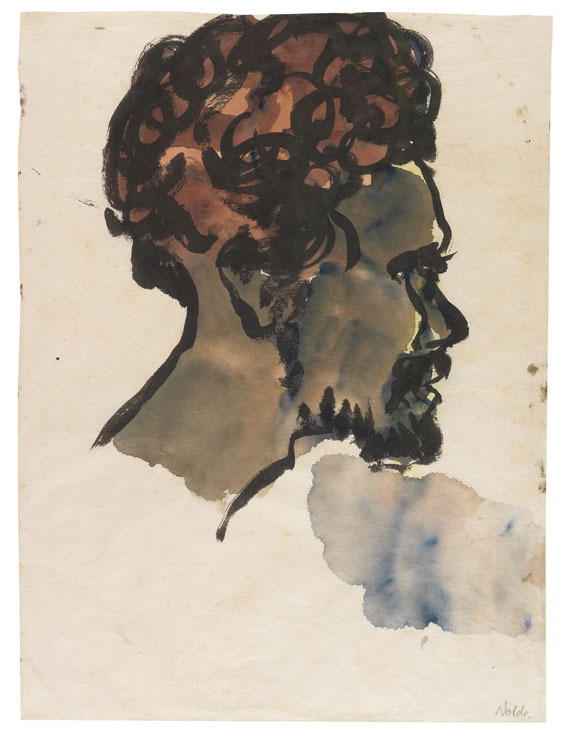 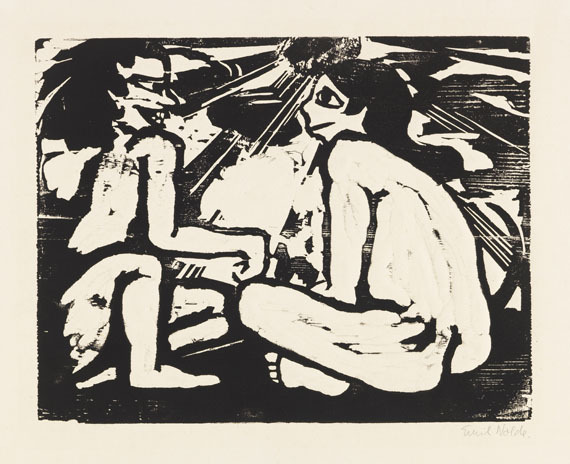 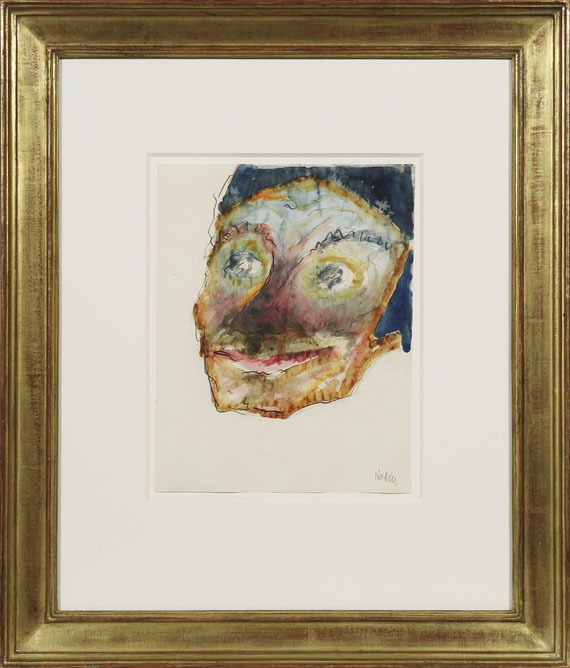 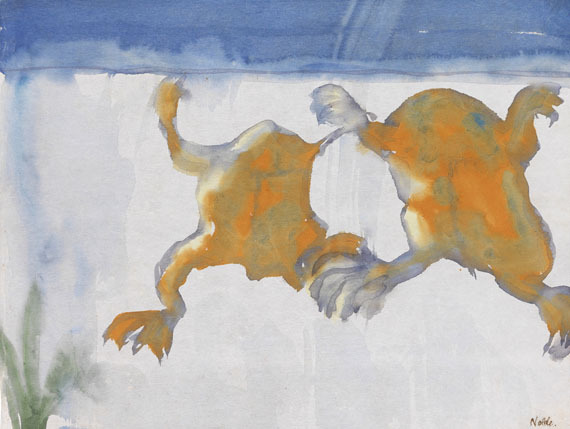 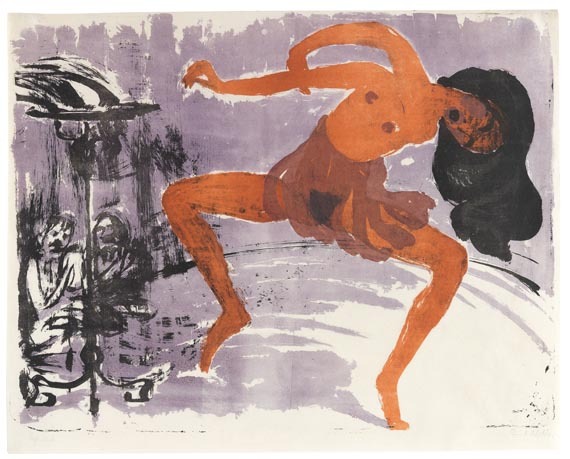 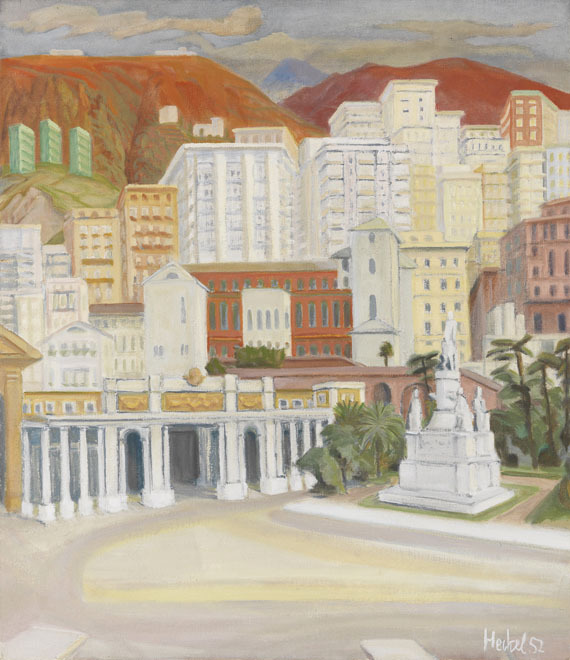 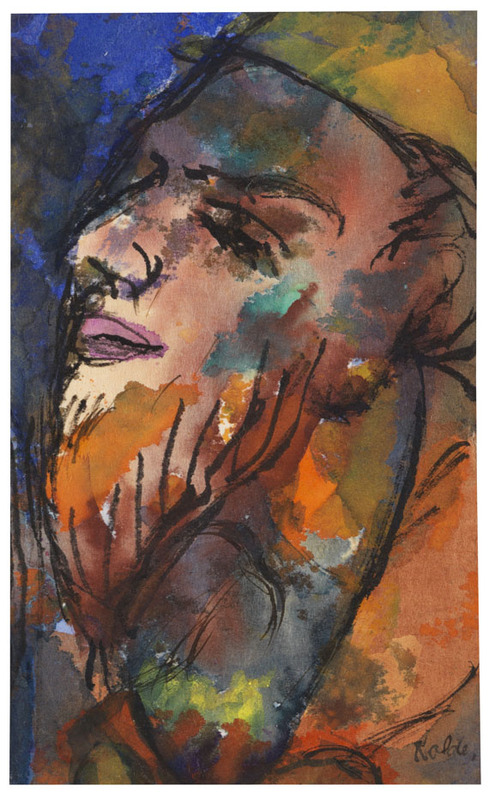 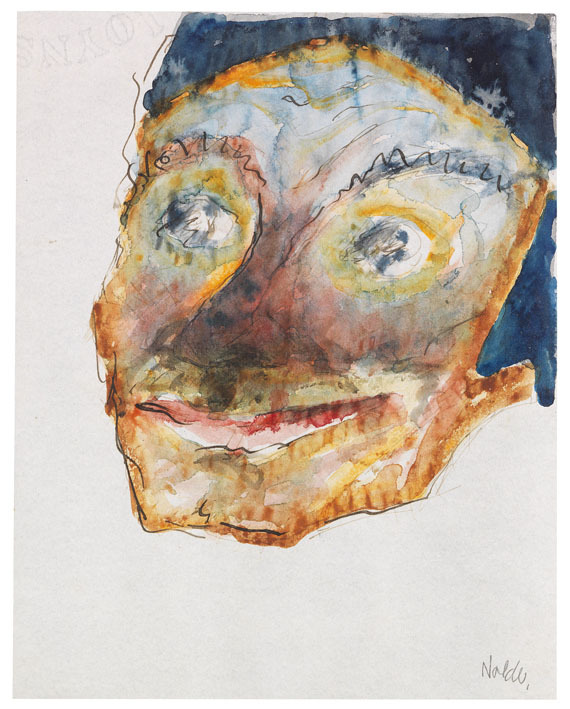 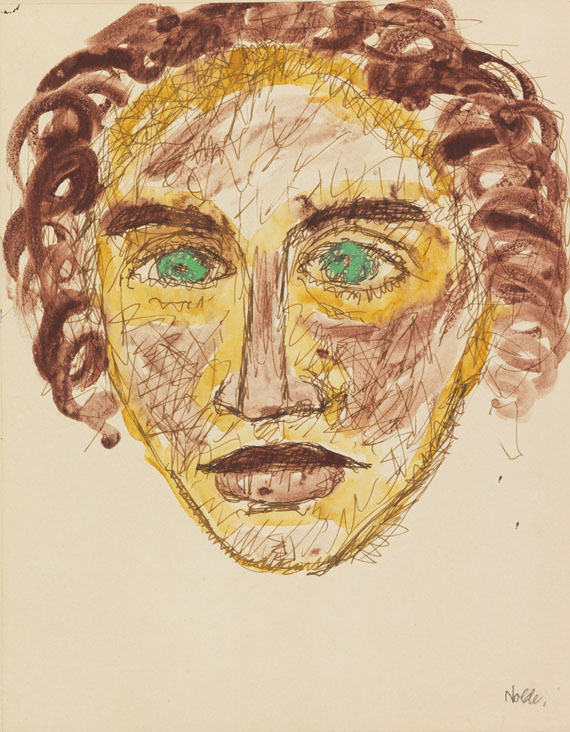 LITERATURE: Ketterer Kunst, Munich, Auction 377, May 14, 2011, lot 717. 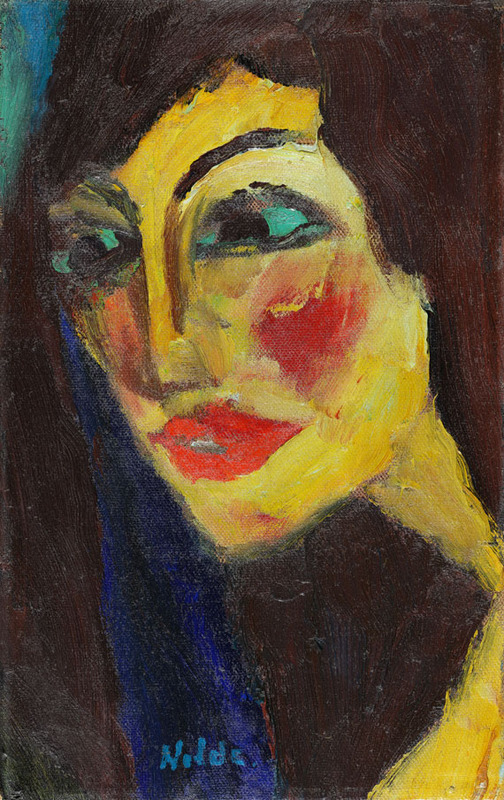 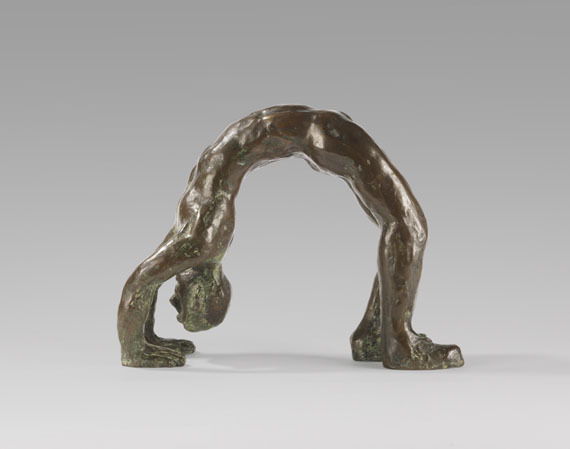 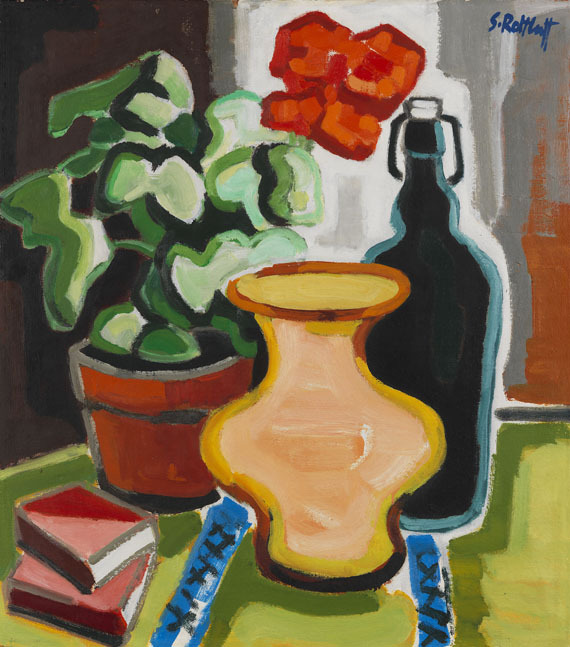 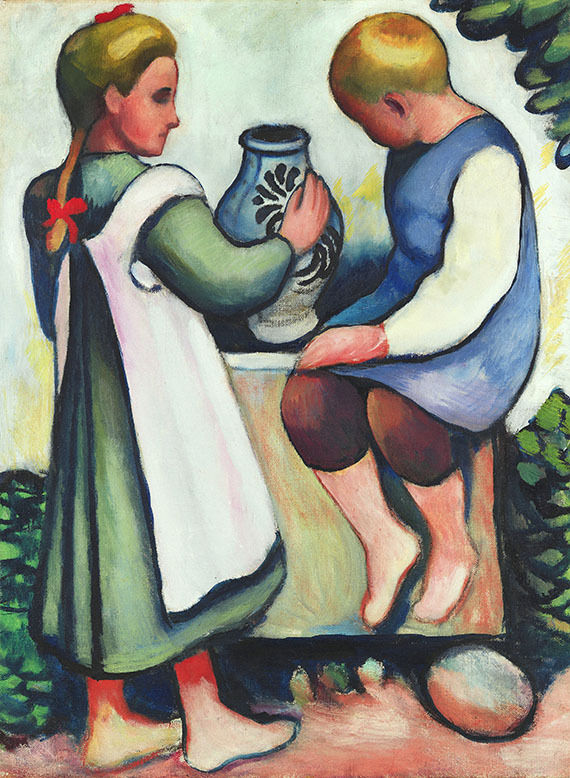 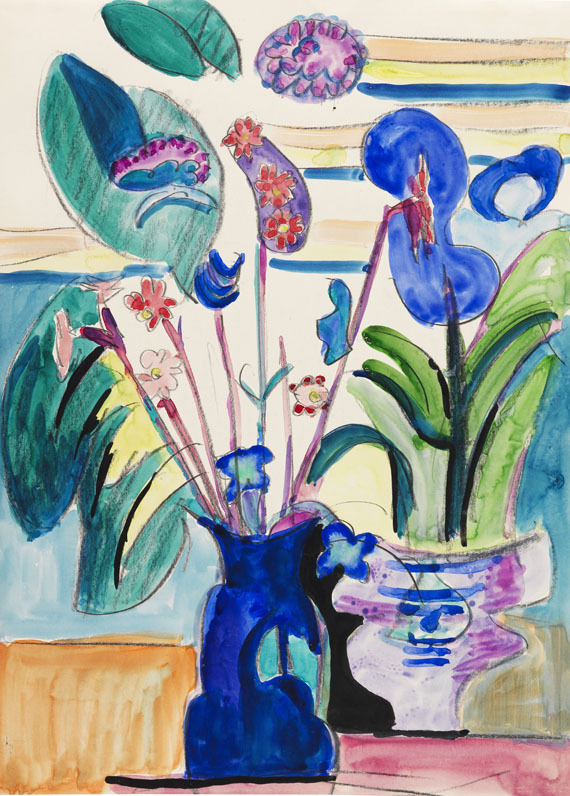 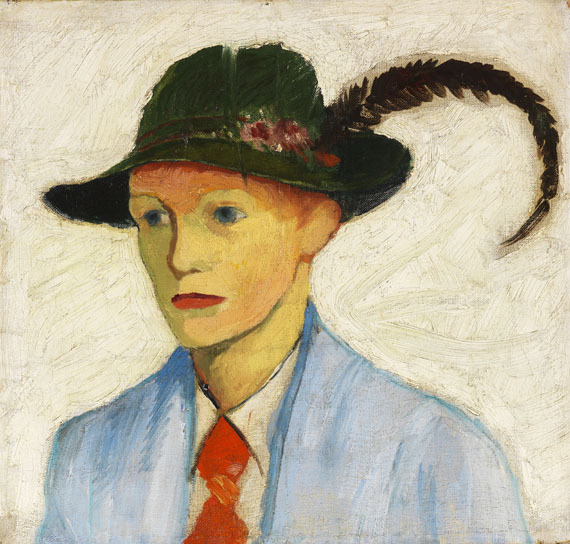 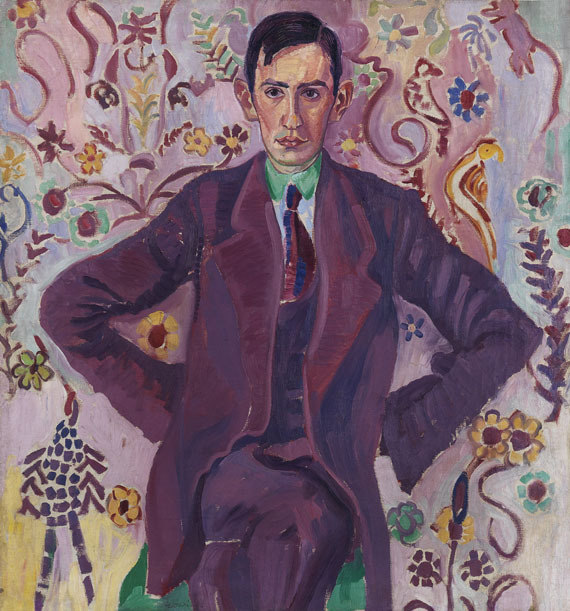 Ketterer Kunst, München, Auction 436, December 10, 2016, lot 229. 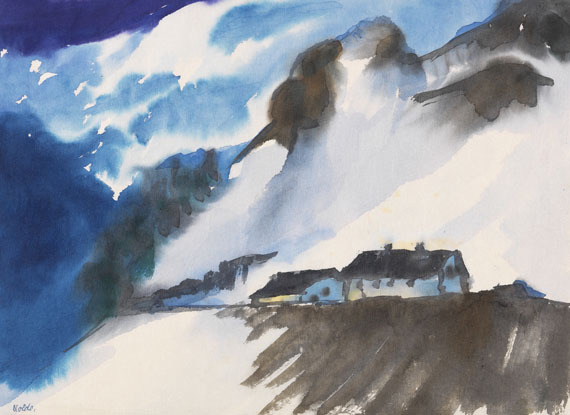 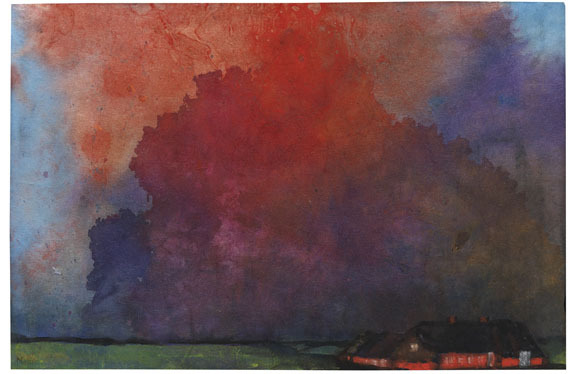 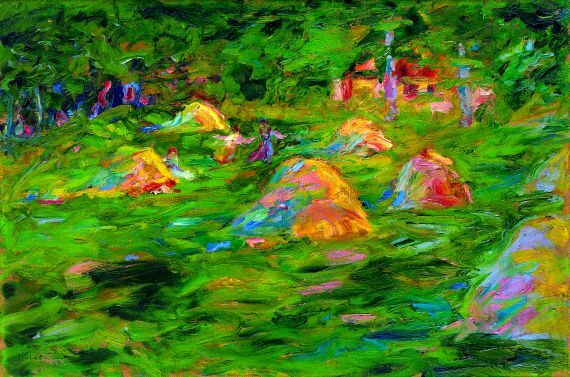 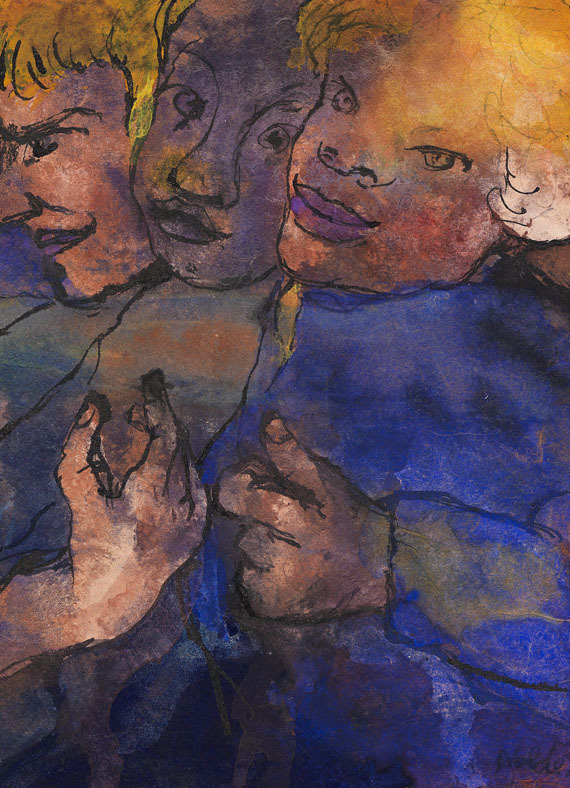 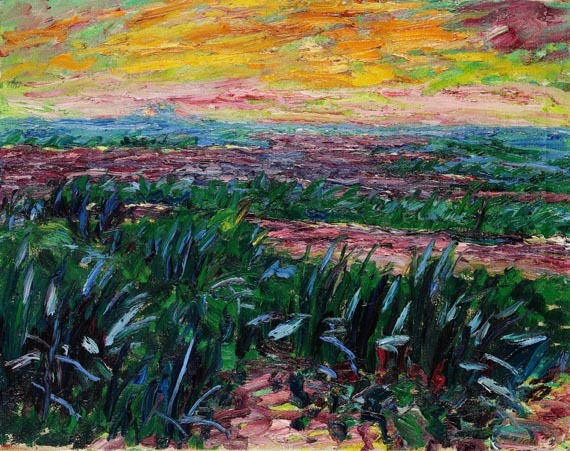 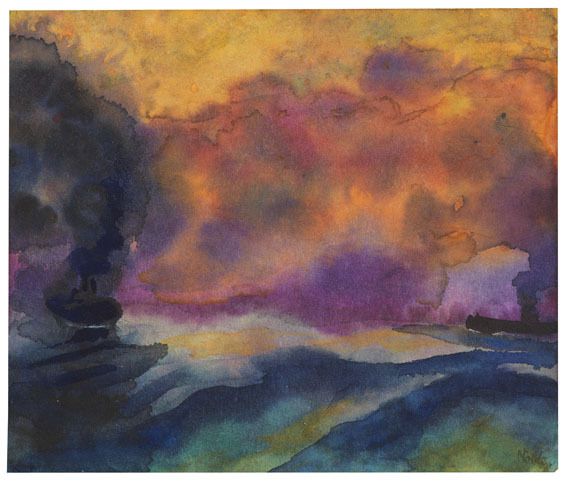 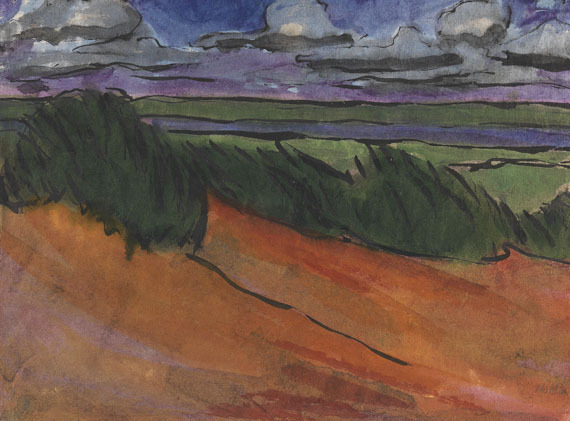 Buyer's premium, taxation and resale right apportionment for Emil Nolde "Apostelkopf"